When my first child was born, I wanted him to have virtually every toy possible, from the little sponge car all the way up to a basketball hoop. It was even better if it was an educational baby toy. I scoured the sale ads and neighborhood sales and brought home more toys than he ever needed. Looking back, I realize I was buying into the myth that if I wanted my child to thrive, he would need as many toys as I could provide. Now I see how silly that belief was, but maybe many parents feel deep down they want to buy dozens of toys for their children, as well. If I had it to do over again, I would be much more selective in my toy choices. I would choose toys that were designed to deliberately help strengthen his developmental skills. 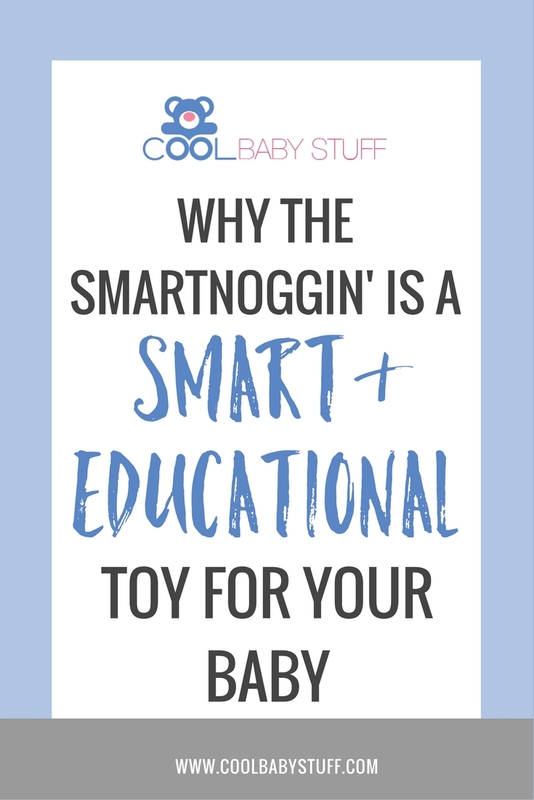 So now when I’m invited to baby showers or am celebrating a new birth, I go to one source: Smartnoggin Toys (no affiliate interest). Smartnoggin Toys founder, Marsha Hout, is a former special education teacher and therapist. In her line of work, she grew frustrated with the lack of developmental toys on the market. So she put her 30 years of education experience to work by creating three infant toys that truly support a baby’s developmental efforts. To a baby, it’s interactive and fun; to Mom and Dad, we’re developing “smart” babies with smart toys. My personal go-to favorite is the NogginStick; I’ve probably bought 10 of these adorable interactive rattles, and given the feedback from moms of the babies, the NogginStick has been a huge hit. The rattle has a light-up head that’s activated by a parent’s or baby’s hand. The stick has textures for tactile stimulation. And the base contains the rattle part for the baby to hear sounds as well as a mirror to see. Hout’s toys have won several developmental industry awards, including a double Oppenheim Toy Portfolio Platinum award. She also has been featured on the Today Show. 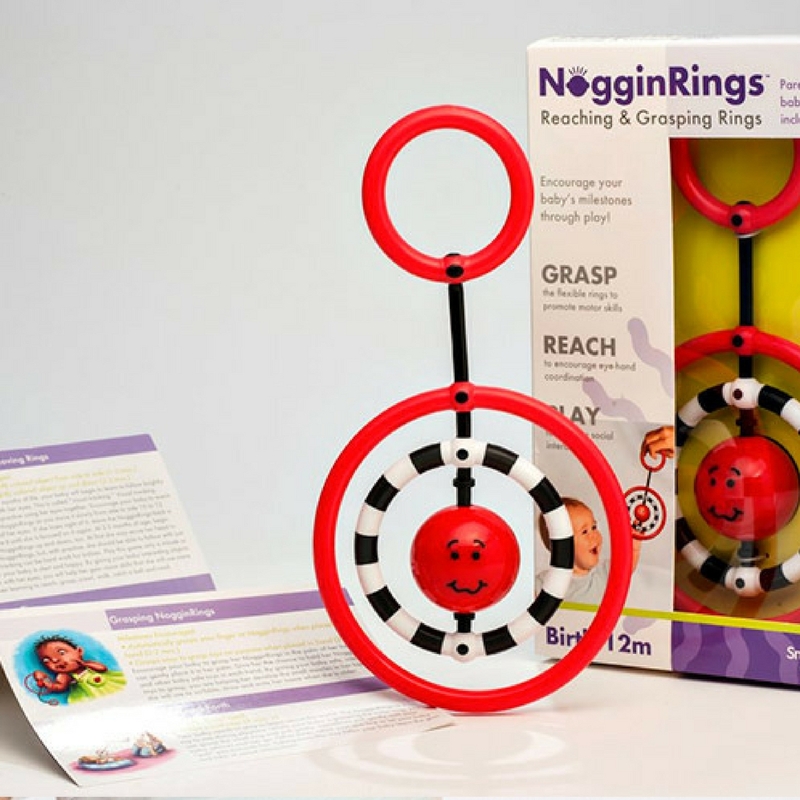 NogginRings encourages social interaction, reaching, grasping, and batting skills. Nogginseek Peek & Seek Rattle develops baby’s awareness of object permanence, promotes wrist rotation, cause and effect, grasping, and rattle play (ages 3 months+). We want to give our babies the best possible start to a well-integrated life of body and mind. 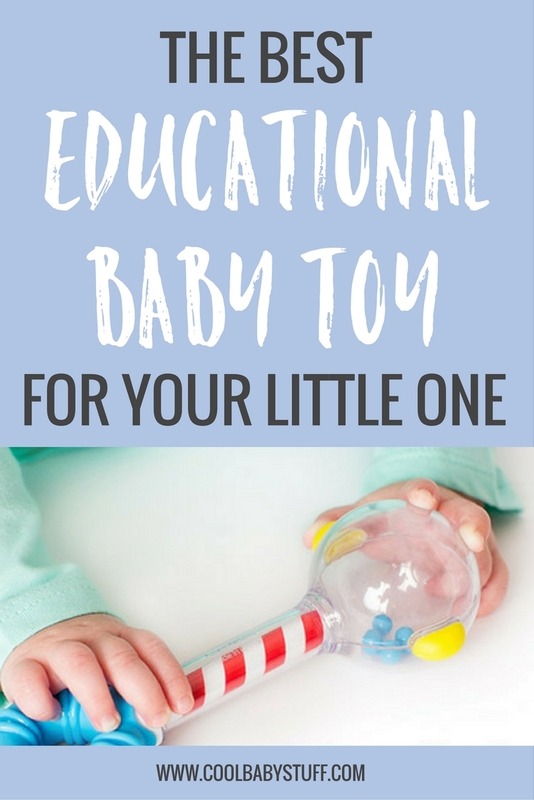 However, we don’t need to buy every toy out there, even if it’s an educational baby toy. As a matter of fact, some toys might prove to be detrimental to a baby’s development. With a little research, we will find toys that make us look smart for buying them, and help make baby grow to be smart as well.